Open government data powers software applications that help people make informed decisions on agriculture, food, and nutrition. While we can’t and don’t endorse specific apps, below are just a few examples of government, citizen, and business tools that: use open government data from the United States; are accessible, vetted, and available; and are, for the majority, free and do not require registration to use. Submit Agriculture application suggestions at Contact Agriculture and see more examples of applications made with open government data at Data.gov/applications. Our goal is to make it easier to understand what you eat. Through our interactive nutrition tools and world-renowned nutrition database, we help millions of consumers understand nutrition every single day. To find a retailer near you that welcomes SNAP EBT customers, click the “Select Location” button and enter a starting location. My foods. My fitness. My health. Get your personalized nutrition and physical activity plan. Track your foods and physical activities to see how they stack up. 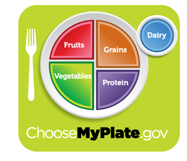 Get tips and support to help you make healthier choices and plan ahead. A fast, low cost, effective method to assess micro-nutrient deficiencies in a developing country on a household basis, while also allowing for an aggregation to a community or regional basis quickly and effectively. The Food Security Portal, facilitated by IFPRI, aims to provide improved food security for the world’s poor and increased resilience of global food systems against food and financial crises. The project brings together international, regional, and country-level data, news, and research aimed at meeting countries’ immediate food security needs, as well as building long-term global food security.